Private Bass Guitar tutoring lessons Rockford, TN. My approach to teaching involves combining work on technical fundamentals and transcription. I find that starting with detailed technical practice makes the achievement of a player's goals quicker, and transcribing from recordings adds real playing experience and is invaluable for building musical vocabulary. I'm a bass player, educator, composer, arranger and band leader living in Brooklyn, NY, and am active in a diverse group of projects that include polka, jazz, classical, and commercial music. I've been teaching double bass and electric bass for 20 years, and have recently added synth bass to my lesson repertoire. I grew up playing orchestral music, jazz, and rock throughout high school, and attended NYU Jazz Performance program, from which I graduated in 2005. While there I studied with a variety of teachers including John Scofield, Mike Richmond, Billy Hart, and Ron McClure. ical Director for Melanie Penn and Porter and Sayles. I've appeared in performance on ABC's "The Chew" and "The Bachelor," and perform regularly with New York City's most renown Polka Band, The Polka Brothers. I've thoroughly enjoyed working and growing as a musician, and I'm passionate about helping others do the same. I currently teach at NYU, as well as occasional programs at the Turtle Bay Music School in Manhattan. Playing the bass guitar ca n be very rewarding. Easy to learn, but must have a good ear for music. I grew up in North Miami, Florida as a high school and college music student. As an Air Force veteran I played bass in the Officer's Club and guitar in a college band. I played in a band in the Republic of Panama called the 'Dos Amigos Band' which became very popular. I am now living in Sevierville, Tennessee where I play bass in my church worship group. 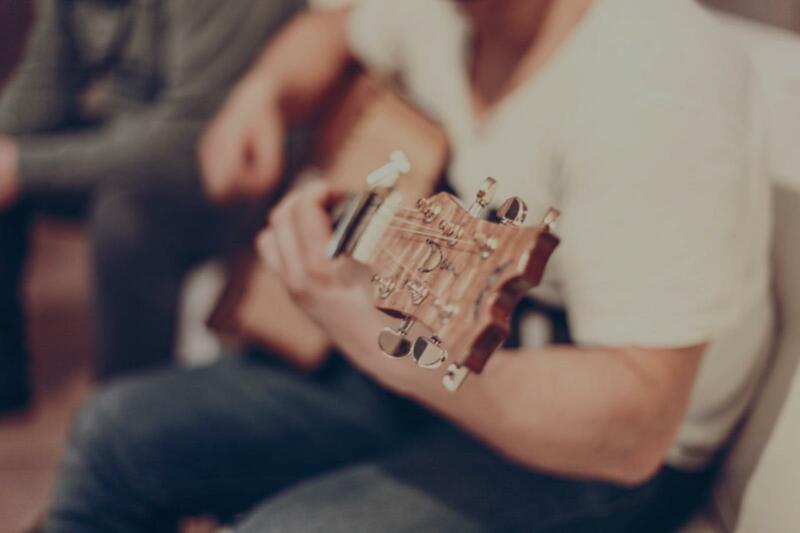 I love playing acoustic guitar and have also enjoyed performing around the area on my guitars. Couldn't be more pleased with the lessons received from Paul. Took me from novice to actually playing simple rhythm guitar in a local band. Have always been a singer but what fun adding another dimension to my performing by "playing along" as well. Can't recommend him highly enough!!! P.S. Our bass player was impressed by his knowledge and skill as well. Paul has a long history of working within a performing group and is always willing to share his musical knowledge. I think you would benefit greatly from his tutoring and from his advice on performing before live audiences.